Coast to coast, Canada has some of the most inspiring event locations in the world. Equipped for small gatherings or conferences on a grand scale, we’ve listed some of the most distinctive venues for you. These Canadian winners all provide stunning backdrops for your next event. 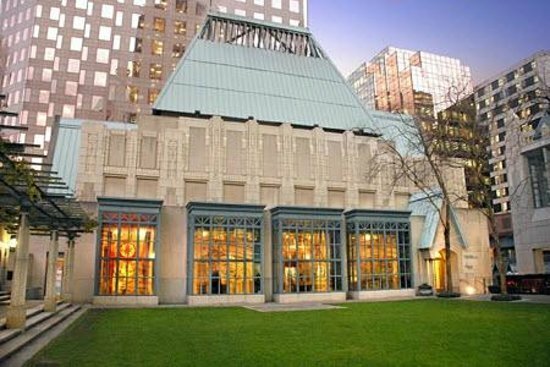 Located centrally in downtown Vancouver, with the Rockies looming in one direction, the Pacific Ocean in the other, this cultural hub has 4000’ of adaptable floor space, technical assistance for audio-visual services and a wicked gift store for swag bags. Suitable for smaller groups of up to 160, it is also a short walk from the mammoth Vancouver Convention Centre, making it a great secondary venue for large gatherings. 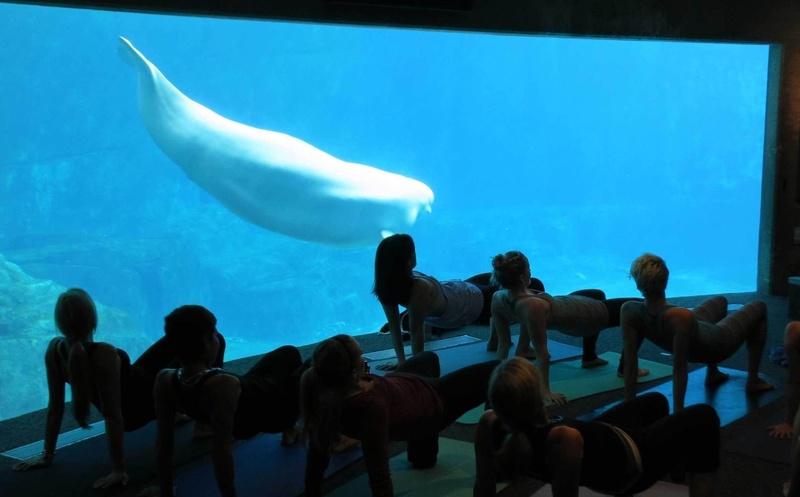 For events that might benefit from a living backdrop, the Aquarium galleries and their 50,000 inhabitants can accommodate up to 2400 of the human species. A full service special events department can organize technical support and catering in a range of exhibit settings from coral reefs to beluga whales. 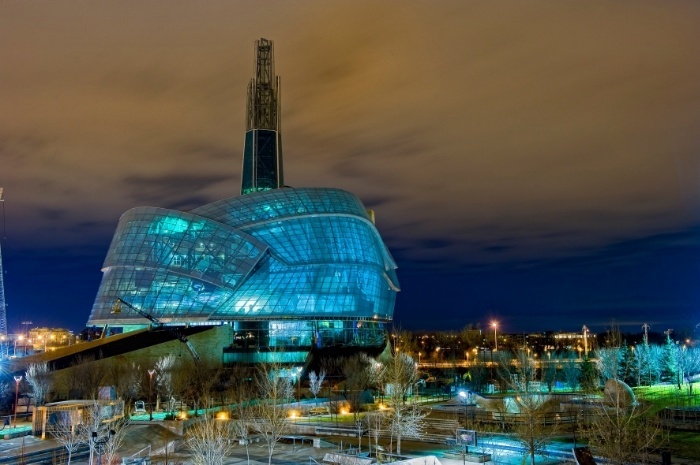 This newly opened museum and architectural marvel makes an unusual and highly charged event destination. A high-performance “green” building built to LEED silver standards, the museum can support meetings for groups of 15 to 700 in a variety of spaces. An enormous restored downtown heritage building with a variety of collaboration rooms, break out nooks and grand meeting/reception spaces, MaRS is a world leader in science, technology and entrepreneurial innovation. Conference services are available for groups of up to 350 and the centre offers full catering and state-of-the art AV technical services. A heritage site turned large-scale community environmental centre, this venue take full advantage of its downtown location amidst the greenery of Toronto’s extensive ravine system. There are a number of intimate and grand indoor and outdoor sites, all of them built or restored and operated to the highest standards of sustainability – the venue overall can handle more than 2000 guests. 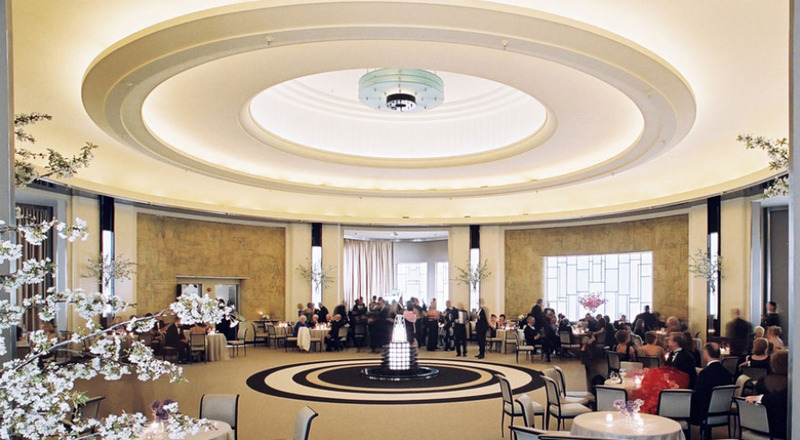 Restored to their original art deco splendor, the downtown event spaces of The Carlu include a revered concert hall and elegant reception and meetings rooms that recall the 1930s era. In addition to all that style, the venue comes fully loaded with state-of-the-art AV and award-winning food and beverage services. Capacity ranges from the intimate to over 800. In a restored railway station located in the old port section of Montreal, the headquarters of this globetrotting contemporary circus empire offers two exceptional and flexible spaces for events – Le Chapiteau and Le Gymnase. Their special events department can facilitate meetings of up to 700 delegates with leading edge technical services included. Best of all, they’ll design custom entertainment packages for end of the day celebrations featuring the city’s finest circus artists. For unforgettable small scale or break out events (perhaps combined with facilities at the nearby 4 Points Sheraton), the magical Ice Hotel returns each year from early January to the end of March. Their special events team can assist in planning product launches, receptions, team building events, and even group activities such as ice sculpting workshops. 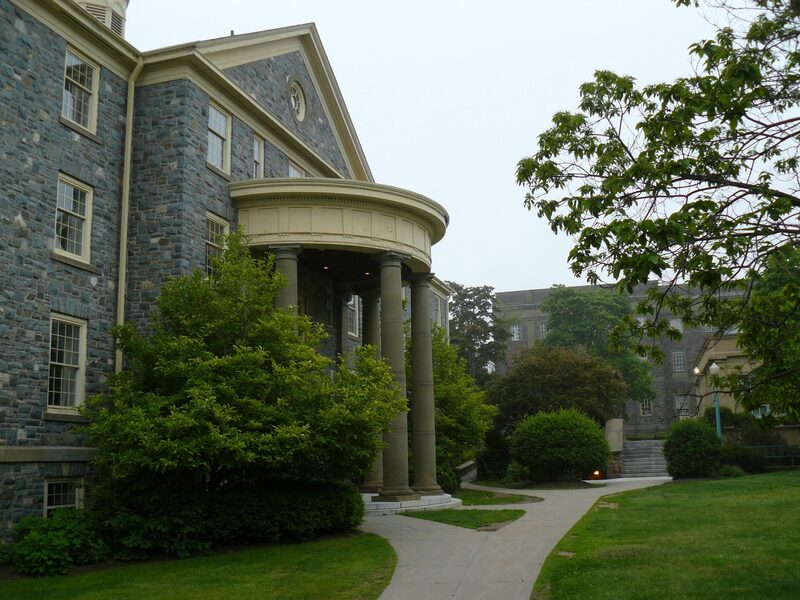 One of the most beautiful and historic university campuses in North America (it was founded in 1789) is available for events throughout the summer months. 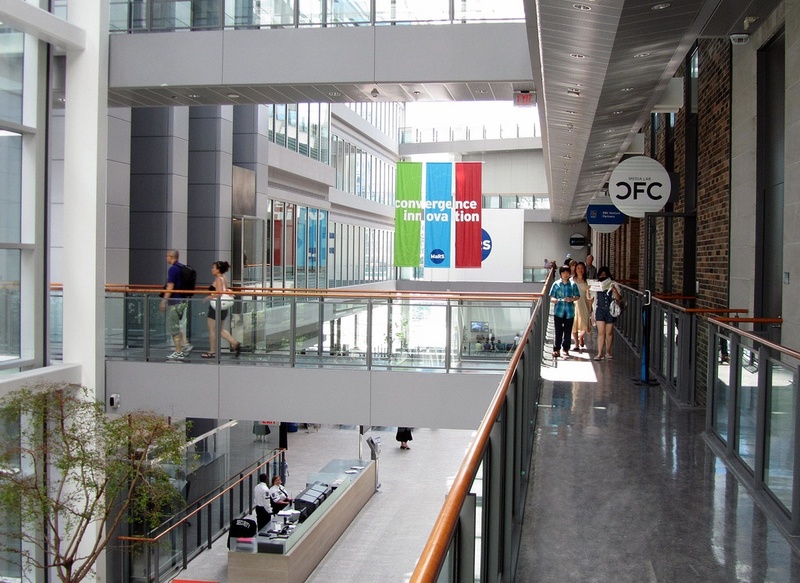 A variety of meeting rooms, lecture halls and theatres can host groups up to 400 with onsite AV staff, catering and accommodations all available on the grey stone and tree-studded campus in the heart of Halifax. Remote and spectacular, this contemporary shrine to iconic Canadian outport island architecture is an event venue like no other. While it's not your stereotypical conference center, the Inn does have meeting rooms, onsite dining and accommodation, plus planners can devise add-on trips and adventure tours. Sponsorships have become a financial cornerstone for most events. This is largely due to a discrepancy between the high costs of event production and the need to charge attendees a realistic ticket..
We all know why attending at least one annual conference is a great idea. An opportunity to network, learn, share, present, raise profile, make sales – the list of positive benefits attributes is.. Many of the most successful tech companies understand that a user conference can have a hugely positive impact on many different areas of a business. It provides the..